RUSH: There’s addendum news to the Sean Hannity fiasco down at Kimba Wood’s courthouse and how his name ended up being made public as a supposed client of Michael Cohen. It turns out that there was an attorney — you know, something I wondered, what’s Stormy Daniels and her Democrat activist lawyer doing down at this hearing anyway? This didn’t involve them. 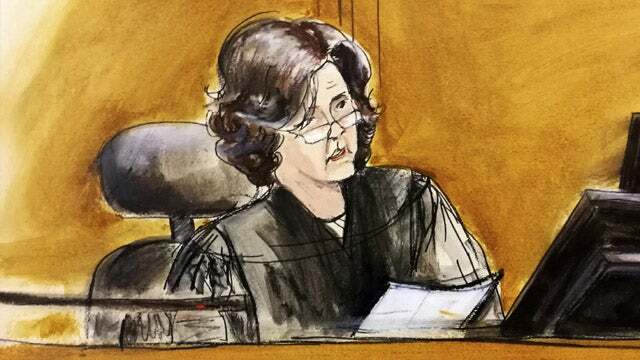 This court hearing was Michael Cohen and his lawyers trying to tell a judge that the government should not be allowed to look at the documents that they produced via the search warrant, that attorney-client privilege was intact. This did not involve Stormy Daniels or her lawyer. There is a microphone set up outside the courtroom. And after what happens in there, Stormy Daniels and her lawyer bop out of there and Stormy Daniels goes on this histrionics hysterical tirade about Trump and how he’s gonna ultimately pay the big price. And then the lawyer comes out and says that Cohen’s going down and anybody with Cohen’s going down. That Cohen’s radioactive and gonna take everybody overboard with him. Cohen and his lawyers didn’t speak. But you know who else was in the courtroom? A lawyer by the name of — what is this clown’s name? Robert Balin or Balin. It’s B-a-l-i-n. Robert Balin. Let’s pronounce it. He’s a lawyer for CNN and the New York Times. And it is this lawyer who argued to Judge Kimba Wood that that name, that third client, that name needs to be made public, and the judge fell for it. In fact, Hannity’s name should not have been mentioned. The public does not have a right to know. All of this is taking place under the auspices of a grand jury, which proceedings are secret. Andy McCarthy writing at National Review: The prosecutors could easily have handed a subpoena to Cohen’s lawyer, which would have required him to identify Cohen’s clients for the grand jury, but not for the public. Clearly the prosecutors were aware of this. Apparently Judge Wood, however, Judge Kimba Wood was prepared to let this happen. The judge allowed Robert Balin, attorney for the New York Times and CNN, to intervene. Balin argued that potential embarrassment to Hannity was not a sufficient reason to withhold the name. The judge was somehow persuaded by this. Without providing Hannity any notice or opportunity to be heard on the matter, she directed his name be disclosed in open court. The public has no right to know the names of people who are relevant to an investigation, even if they are suspected of wrongdoing. The public has no right. Kimba Wood did not have to reveal the names just because the lawyer asked for it. The lawyer asked for it. Clearly CNN was seeking an opportunity here to besmirch and impugn a competitor, that would be Hannity. 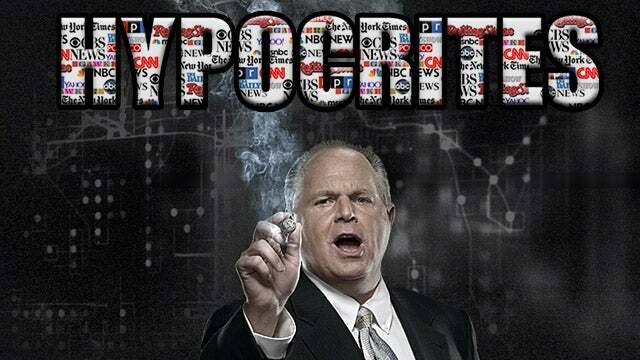 RUSH: You want another example of hypocrisy? I just told you that the reason Hannity’s name was outed in court was because there was a lawyer for CNN and the New York Times in there who demanded that the name of Hannity as a client of Cohen be revealed. (interruption) I don’t know. No, the media lawyer did not have standing. The whole point is that the judge did not have to be persuaded by this. It’s a private proceeding because there’s a grand jury involved. Lawyer clients do not have to be, even if the clients are being prosecuted, particularly if a grand jury is going on, it’s right there in the DOJ manual. The judge goofed up. The judge ended up being persuaded. But that’s not my point. The point is it’s a lawyer for CNN and the New York Times, and we’ve had people watching. 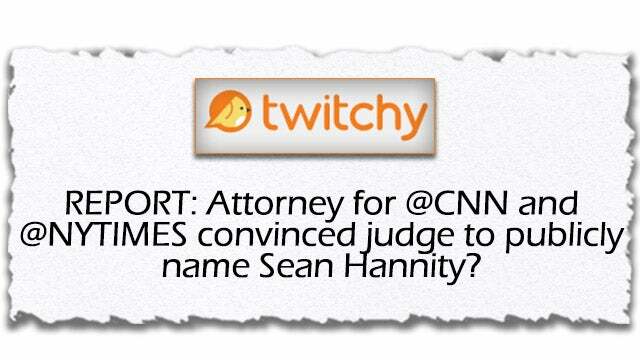 CNN has not yet disclosed their connection to the Hannity name being revealed at the Cohen legal hearing in court, after two days of lecturing us on how Hannity should have disclosed his connection to Cohen, after two days of CNN people fretting and wringing their hands over the fact that Hannity’s too close to Trump and Hannity’s advising Trump and now Hannity is using Trump’s lawyer. So it’s a CNN lawyer that forced this issue, and CNN has not reported this. We have had people watching. I can’t watch CNN much longer than a minute, but I’m paying people to watch ’em out there, and I have been told by my staff earning overtime watching CNN that they have not yet disclosed their connection to Hannity’s name being revealed. It was their lawyer that forced it, even after two days of CNN bellyaching, whining and moaning, lecturing everybody on how Hannity should have disclosed his connection to Cohen. RUSH: In a follow-up to one of our segments yesterday at the open of the program, remember I spent considerable time detailing for you all of the incestuous conflicts that exist in Washington, D.C., between the Drive-By Media and professional political people, conflicts that are not disclosed. I did this in the context of all of these very same people telling Sean Hannity he had a duty to disclose that he had some kind of legal representation deal with Michael Cohen. Hannity’s name was outed in court yesterday, and it turns out it was a CNN, New York Times lawyer who pressured the judge to reveal Hannity’s name. And the judge need not have complied. The law does not require the names of clients to be revealed to the public, particularly when grand jury proceedings are part of an investigation. They are, by definition, private. They are, by definition, secure and off-limits. So the judge succumbed to the persuasive powers of the CNN lawyer. Now, CNN has not yet reported on their own conflict. CNN’s not telling the story today that their lawyer forced the issue. They haven’t disclosed. Well, in the listing of numerous media people and their conflicts yesterday, I talked about F. Chuck Todd. NBC News moderator, Meet the Press, has his own show on PMSNBC. And I mentioned that his wife is a renowned Democrat activist who made millions of dollars working on the Bernie Sanders campaign. And since that time, more has been revealed. NBC and Chuck Todd hid his wife’s donation to Tim Kaine and hid her firm getting millions from the Bernie campaign. By the way, this story is dated 2016. So this was during the campaign that his wife is working for Bernie and he’s interviewing Tim Kaine, his wife has donated money, and F. Chuck Todd interviewing Tim Kaine does not disclose that his wife is a donor. The name of her company, F. Chuck Todd’s wife’s company, Maverick Mail & Strategies. She founded the firm in 2007 with aides to James Webb, Steve Jarding and Jessica Vanden Berg. And yet Hannity is supposed to tell everybody that he’s got some sort of legal arrangement, relationship, whatever, with Cohen. And this stuff with Democrats and their wives and husbands interacting with politicians in a revolving door sense is incestuous, and it is huge, and these conflicts are never mentioned, they are never referenced. And most people are totally unaware of these relationships. F. Chuck Todd and his wife are hosting Clinton’s campaign assistant for dinner in 2015. The campaign’s already begun. No, no, no, no. I’m not saying none of these things should happen. I’m telling you that they don’t tell anybody that they have these conflicts. These people, in fact, are openly out there trying to tell you that their own political point of view doesn’t affect what they do. They are objective. They are not biased. They tell us it’s only Fox News that’s biased. Talk radio, Fox News, that’s who you can’t trust. We, we are journalists of the First Amendment. And you can’t question us. They impugn everybody else’s integrity while denying all of these literal in-bed relationships that they have, the media and Democrats, in a revolving-door-like way. And it does matter, particularly when they seek to hide it while telling us, “It doesn’t matter. Doesn’t affect the way we do our job.” The hell it doesn’t. It’s obvious to anybody paying even a scant bit of attention.